No reports found for plate number RP72103 in Georgia, United States. click here to add a report. No pictures found for plate number RP72103 in Georgia, United States. click here to add a picture. No videos found for plate number RP72103 in Georgia, United States. click here to add a video. No owners found for plate number RP72103 in Georgia, United States. click here to add an owner. 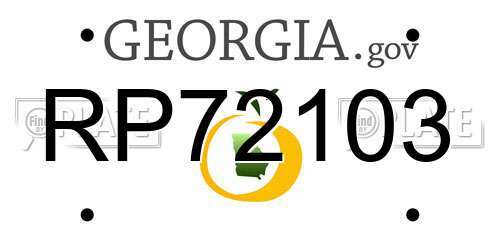 No related websites found for plate number RP72103 in Georgia, United States. click here to add a related website. Seen doing a huge drug transfer At intersection of Hwy92 & 278 more than twice now, looks or seems to be cocaine ,but questionable!! Very concerned they seem to be armed! !